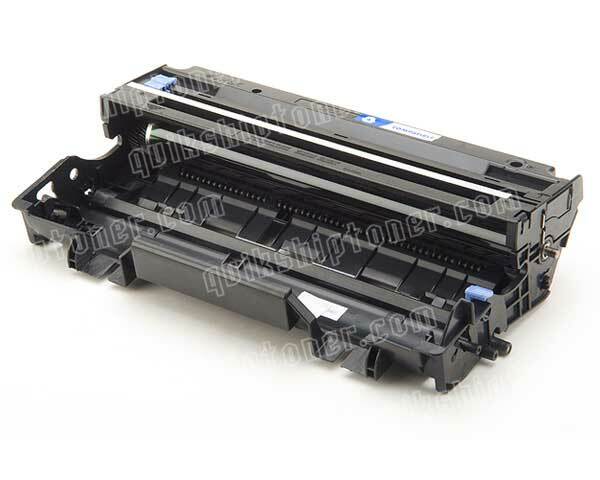 The Brother MFC-8220 is very similar to some of its lower end counterparts in Brother's MFC category, but adds professional grade features like a full range of expandability options including an addition paper tray and optional memory upgrades. 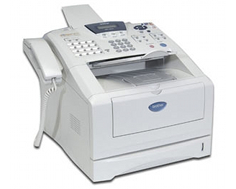 For a fairly affordable price, the Brother MFC-8220 squeezes a lot of hardware into a single unit that is capable of high volume printing, faxing, and copying. Some of the smaller multifunctional devices such as this that are designed specifically for small offices that need to not only spend as little as possible on initial equipment investments but also save space by using machines that cram a lot of features into one cut costs by excluding features such as heavy duty hardware that can withstand a high monthly duty, and expandability options such as additional paper trays. The Brother MFC-8220 remedies these problems without much of a hike in overall price. For maybe an additional hundred dollars, buyers can produce as much as twice as much output than lower end units due to the BrotherMFC-8220's 20,000 page maximum monthly duty cycle. Its recommended duty cycle is also much higher, ranging from 500 to 3,000 sheets. Paper handling abilities are simple, with a single 250 sheet paper tray for storage. An additional 250 sheet tray is available separately for not only a grand total of 500 sheets of storage, but also the ability to load two different paper types at the same time. Included memory is also expandable. The device initially comes with 32 MBs included, but for users to plan on using the device heavily as a printer, as opposed to fax machine or other purpose, additional memory upgrades may be in order, and up to 160 MBs of total memory is supported by the unit. Both Parallel and USB ports are apparent in the device's hardware. Unfortunately, no network card is included, but there is an external one available. Though the additional expansion options are a great improvement for the series, this MFC still cannot seem to get over the slow print speed obstacle. The Brother MFC-8220 prints at only 21 pages per minute which, for a three hundred dollar device, is sub par, regardless of how impressive its other features are. The other odd thing about this unit that almost doesn't even make sense is its extremely low optical scan resolution. How can a device that prints at 2400 x 600 dots per inch only scan at a maximum of 300 x 600 dots per inch? Usually, scan resolution is actually even higher than print resolution, and it makes one wonder what Brother was thinking. Review it: "Brother MFC-8220 "
Finally, a printer / fax machine in Brother's MFC series gives buyers the option of high capacity toner cartridges. 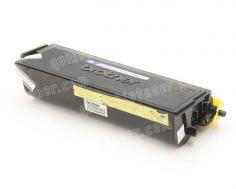 The Brother MFC-8220 has cartridges available that are capable of up to 7,000 pages of print at 5% coverage, with hardly any increase at all in cartridge price. The drum unit has also been boosted up to 20,000 possible pages.